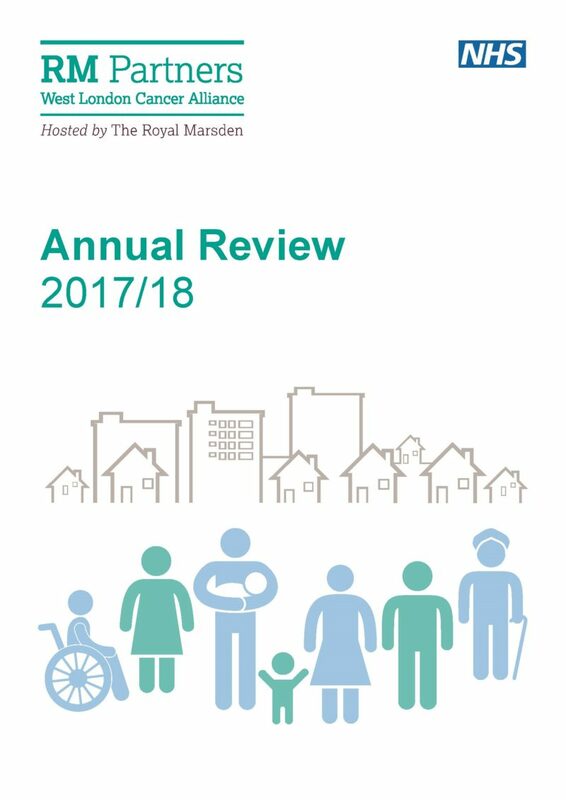 The RM Partners Annual Review, which celebrates our transformational cancer work across west London, has now been published. Our work in primary care to improve early diagnosis (increasing bowel and cervical screening uptake, providing cancer education and training for GPs, piloting safety netting in Brent, Harrow and Hillingdon). The development of our nationally respected and replicated informatics service. Using research and innovation to improve cancer care, including supporting the largest NICE FIT study in England and piloting the world leading (and HSJ Award winning!) RAPID pathway for diagnosis of prostate cancer. Improving patient experience through our Patient Advisory Group. The review also includes information on our priorities and work during the current year, setting out the next phase of delivery of our projects to improve early diagnosis as well as improve the lives of all those living with and beyond cancer.